Terra is a divided world with its history classified. After receiving and ancient script, Zorell and her companions set out and find a secret base containing a hovercraft left by their ancestors. With help from intelligent bees they set out on adventures and problems. Not one but two worlds are changed for ever by their discoveries and fortitude. But is it too late to save humanity? 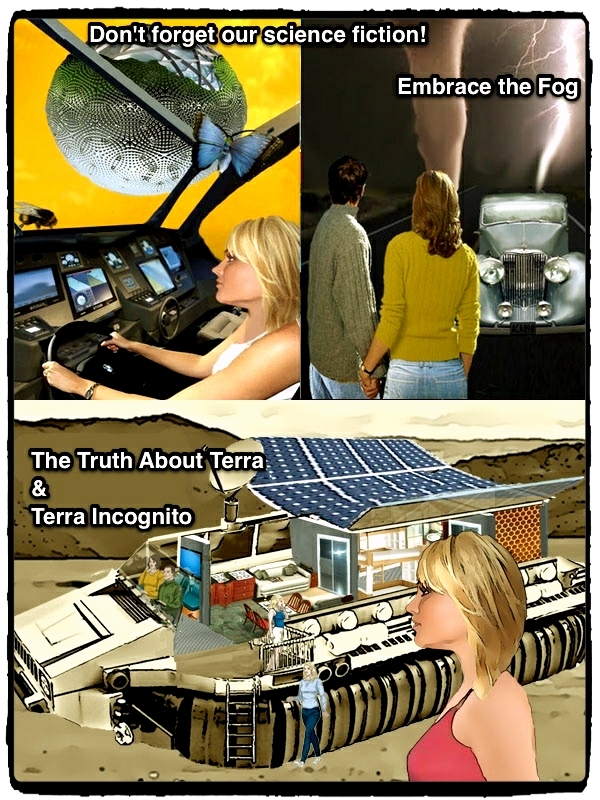 In this sequel to The Truth About Terra, Zorell, Evan and Anneke are pulled through to an unknown world in their hovercraft. They enter a world where the line between computers and humanity is blurred, electronic butterflies compete with intelligent bees and the way home to Terra seems to be all but impossible. Travis Crichton and Jacey Roden’s weekend orienteering contest in a vintage Mark 4 Jaguar car becomes a journey through a belt of fog and into a strange village that is not shown on any map. The people there appear to be living in the 1950s, a time when the car was new. Jacey realises that this is more than random misfortune but they are caught up in something more sinister.